Join us for a spirited night of fundraising and family fun to support our organization. This year we have even more crafts for kids, live music, light refreshments, a cash bar and a slideshow presentation from Buoy Painting and the Tree Lighting. Tickets are $15 per family at the door. Free admittance for children. Present your ticket to pick up your child's buoy. Limit one buoy per ticket. 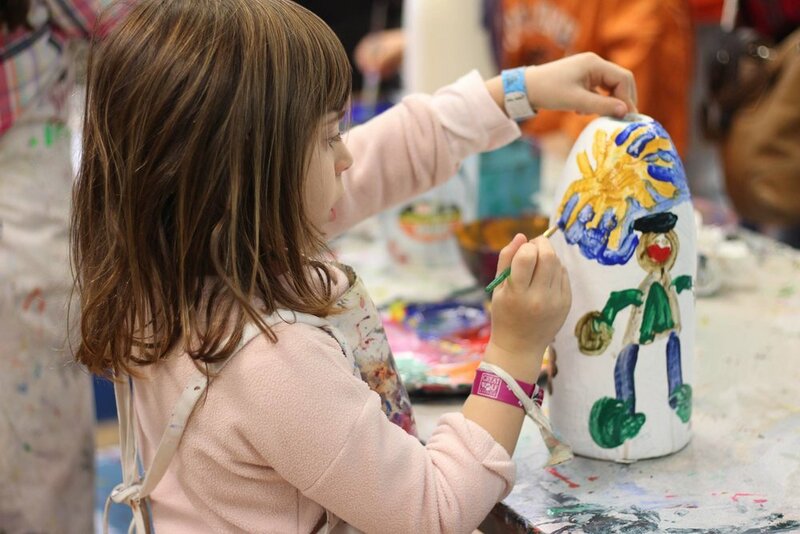 Your generous contributions in the past make have made possible art education for roughly 1000 Cape Ann students each year including scholarships that help bring art to all our children. Thank you! Your child's buoy can be picked up for the cost of one ticket. Each additional buoy costs $5. A volunteer will help you find your buoy on the racks. No worries if you don't have your number with you--we'll have all the info at the door. All proceeds help pay for the programs we provide all year long. Thank you!